What does DECA mean? 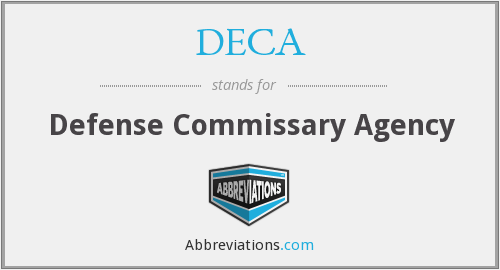 This page is about the various possible meanings of the acronym, abbreviation, shorthand or slang term: DECA. DECA is an international association of high school and college students and teachers of marketing, management and entrepreneurship in business, finance, hospitality, and marketing sales and service. The organization prepares leaders and entrepreneurs for careers and education in marketing, finance, hospitality, management, and other business areas. It is one of ten organizations listed as Career and Technical Student Organizations by the United States Department of Education. Couldn't find the full form or full meaning of DECA? Know what is DECA? Got another good explanation for DECA? Don't keep it to yourself! "DECA." Abbreviations.com. STANDS4 LLC, 2019. Web. 22 Apr. 2019. <https://www.abbreviations.com/DECA>.